Gloria - Lorian Platinum was added to your cart. Get glamorous! 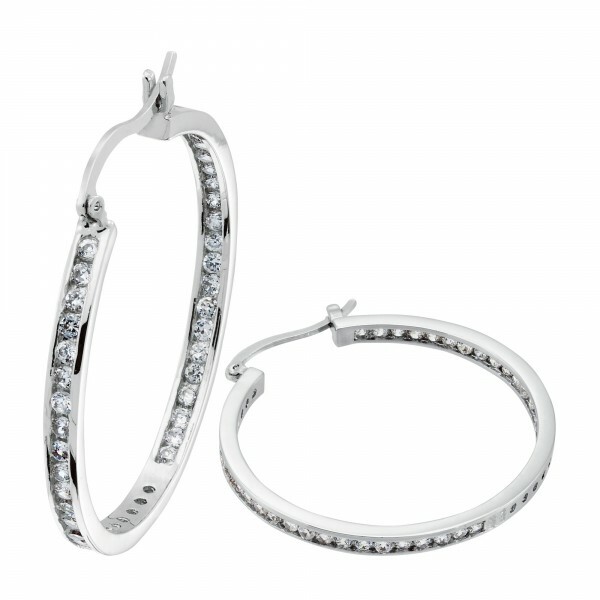 Each one of these Lorián Platinum hoop earrings holds forty-five Round Brilliant cut diamond simulants in a smooth channel setting, with the setting turned inward on the back half so you get maximum sparkle from the front. These hoops are so fun and flirty and perfect for sitting by the pool or running around with the kids, totally a great buy!